Goldman Sachs upgraded DCP Midstream, LP (NYSE: DCP) from Neutral to Buy. 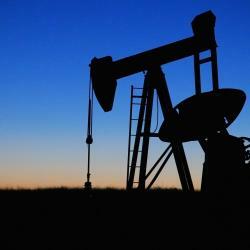 DCP Midstream shares rose 1 percent to close at $39.26 on Tuesday. Oppenheimer upgraded General Electric Company (NYSE: GE) from Underperform to Perform. General Electric shares rose 1.66 percent to $13.97 in pre-market trading. Citigroup upgraded Endo International plc (NASDAQ: ENDP) from Neutral to Buy. Endo shares rose 4.69 percent to $9.60 in pre-market trading. JP Morgan upgraded WellCare Health Plans, Inc. (NYSE: WCG) from Neutral to Overweight. WellCare shares rose 0.23 percent to $238.27 in pre-market trading. Susquehanna upgraded The Mosaic Company (NYSE: MOS) from Neutral to Positive. Mosaic shares closed at $28.050 on Tuesday. UBS upgraded H&E Equipment Services, Inc. (NASDAQ: HEES) from Sell to Neutral. H&E Equipment shares closed at $36.34 on Tuesday. Analysts at Deutsche Bank upgraded Marvell Technology Group Ltd (NASDAQ: MRVL) from Hold to Buy. Marvell Technology shares closed at $19.91 on Tuesday. Roth Capital upgraded JinkoSolar Holding Co., Ltd. (NYSE: JKS) from Sell to Neutral. JinkoSolar shares closed at $14.57 on Tuesday. BTIG Research upgraded YUM! Brands, Inc. (NYSE: YUM) from Neutral to Buy. Yum Brands shares closed at $80.01 on Tuesday. Bernstein upgraded SunTrust Banks, Inc. (NYSE: STI) from Market Perform to Outperform. SunTrust shares closed at $66.15 on Tuesday. Deutsche Bank downgraded Quest Diagnostics Incorporated (NYSE: DGX) from Buy to Hold. Quest Diagnostics shares closed at $112.05 on Tuesday. KeyBanc downgraded WESCO International, Inc. (NYSE: WCC) from Overweight to Sector Weight. Liberty WESCO shares closed at $57.45 on Tuesday. JP Morgan downgraded Molina Healthcare, Inc. (NYSE: MOH) from Overweight to Neutral. Molina Healthcare shares closed at $99.41 on Tuesday. Vertical Group downgraded Lancaster Colony Corporation (NASDAQ: LANC) from Buy to Hold. Lancaster Colony shares closed at $140.35 on Tuesday. Citigroup downgraded Sibanye-Stillwater (NYSE: SBGL) from Buy to Neutral. Sibanye-Stillwater shares closed at $2.51 on Tuesday. JP Morgan downgraded Boardwalk Pipeline Partners, LP (NYSE: BWP) from Overweight to Neutral. Boardwalk Pipeline shares closed at $11.67 on Tuesday. Goldman Sachs downgraded Crestwood Equity Partners LP (NYSE: CEQP) from Buy to Neutral. Crestwood Equity shares closed at $32.20 on Tuesday. Deutsche Bank downgraded Laboratory Corporation of America Holdings (NYSE: LH) from Buy to Hold. Laboratory Corp shares closed at $183.23 on Tuesday. Analysts at Craig-Hallum initiated coverage on QuinStreet, Inc (NASDAQ: QNST) with a Buy rating. The price target for QuinStreet is set to $20. QuinStreet shares closed at $13.10 on Tuesday. Maxim Group initiated coverage on Agilysys, Inc. (NASDAQ: AGYS) with a Buy rating. The price target for Agilysys is set to $20. Agilysys shares closed at $15.32 on Tuesday. Analysts at Rosenblatt initiated coverage on Twilio Inc. (NASDAQ: TWLO) with a Buy rating. The price target for Twilio is set to $70. Twilio shares closed at $57.30 on Tuesday. B. Riley FBR initiated coverage on Abeona Therapeutics Inc. (NASDAQ: ABEO) with a Buy rating. The price target for Abeona Therapeutics is set to $26. Abeona Therapeutics shares closed at $16.10 on Tuesday. Bernstein initiated coverage on Johnson & Johnson (NYSE: JNJ) with a Market Perform rating. The price target for Johnson & Johnson is set to $129. Johnson & Johnson shares closed at $122.35 on Tuesday. Bernstein initiated coverage on Abbott Laboratories (NYSE: ABT) with an Outperform rating. The price target for Abbott is set to $73. Abbott shares closed at $60.81 on Tuesday. Noble Financial initiated coverage on EuroDry Ltd. (NASDAQ: EDRY) with a Buy rating. The price target for EuroDry is set to $12. EuroDry shares closed at $8.21 on Tuesday. Analysts at Evercore ISI Group initiated coverage on Marvell Technology Group Ltd. (NASDAQ: MRVL) with a Outperform rating. The price target for Marvell Technology is set to $27. Marvell Technology closed at $19.91 on Tuesday. Ladenburg Thalmann initiated coverage on Palatin Technologies, Inc. (NYSE: PTN) with a Buy rating. The price target for Palatin Technologies is set to $3. Palatin Technologies closed at $1.05 on Tuesday. Analysts at Wells Fargo initiated coverage on American Woodmark Corporation (NASDAQ: AMWD) with a Market Perform rating. The price target for American Woodmark is set to $100. American Woodmark closed at $94.40 on Tuesday.